edtech and in helping schools across the federation in their quest to achieve world-class service delivery. 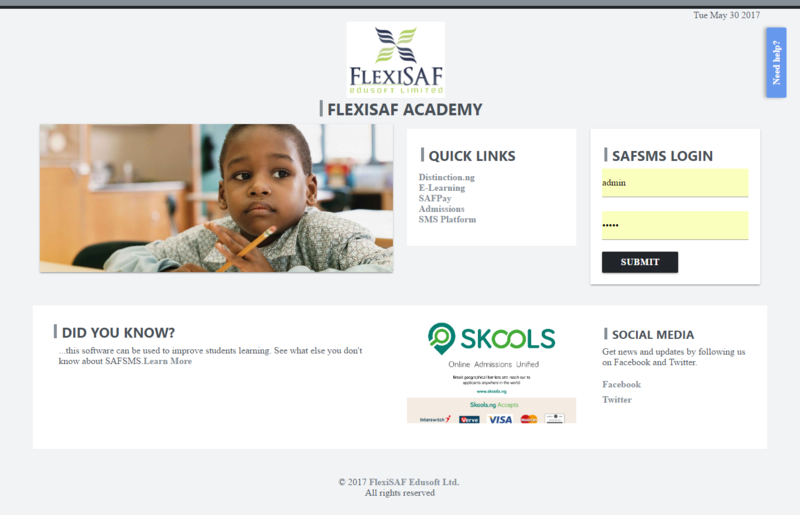 The All-New SafSMS landing Page. Our Great day with I-Scholars International Academy. Annual School Needs Exhibition (ASNE) 2017. ASNE is a yearly event organized by the SRC educational group to bring together schools, stakeholders in education and the general public in discovering the latest products and trends in education. 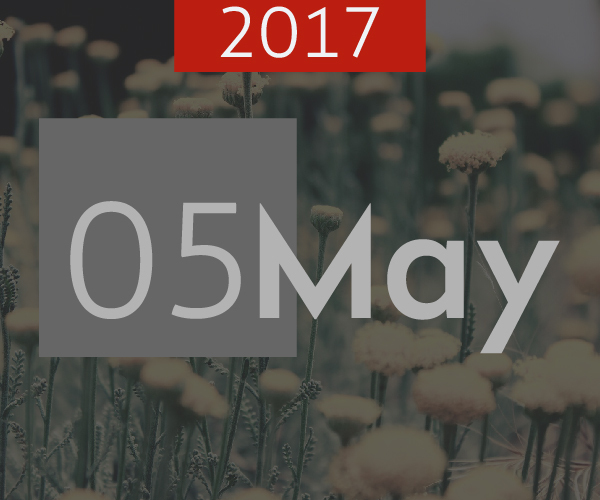 This year’s edition took place on the 17th & 18th of May 2017 at BMO events center River Plate Wuse, Abuja. FlexiSAF & ASNE have a rich history and we’ve been ardent supporters of the event since its inception at the International Conference Center. Their efforts have reached across Nigeria with their pragmatic approach towards empowering stakeholders in education. 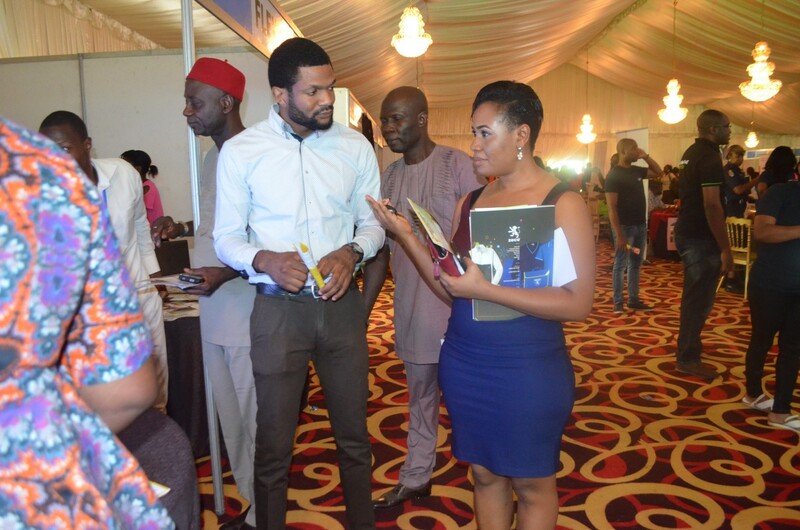 Representing FlexiSAF at the event were Nora Omini, Bolaji Ajabiowe and Goja Jerry from the sales team and Rashidah Jibrin & Ada Okoli from the digital marketing team. It was an interesting and enlightening event and the team took their time to educate attendees on the increasing need for digitized administration in schools today. ASNE is one of the largest gatherings of education brands and enthusiasts, and FlexiSAF was there to show off the latest features of our flagship product; SAFSMS. The event rounded up on the second day by 4 pm, with the winners of the raffle draw announced and awarded their various prizes. Schools these days are a brand, and they require more and more that every aspect of their school system, reflect their identity and the passion they put into it. We understand that. That’s why we’ve made the new SAFSMS login page customizable. It doesn’t only allow you to select your school color, you can also insert a picture banner; which comes as a default image until you upload one.The page also accommodates a section for your news bulletin, general information and links to other useful resources like the school’s website, online application platform, and a platform for practicing WAEC, JAMB & NECO examinations. Responsible for a school budget? Here are 4 clever ways to cut costs. Hard Times call for Hard measures. 1. Go paperless: A school going paperless? But going paperless doesn’t mean doing away with paper altogether just like going cashless doesn’t mean an end to physical currency. 2. Smarter Inventory: Management of inventories and supplies like classroom materials and uniforms is one obvious but overlooked the way that massive leakage of funds and supplies can be checked. A school management software can also help you do that. Try out a free demo and see how it works. 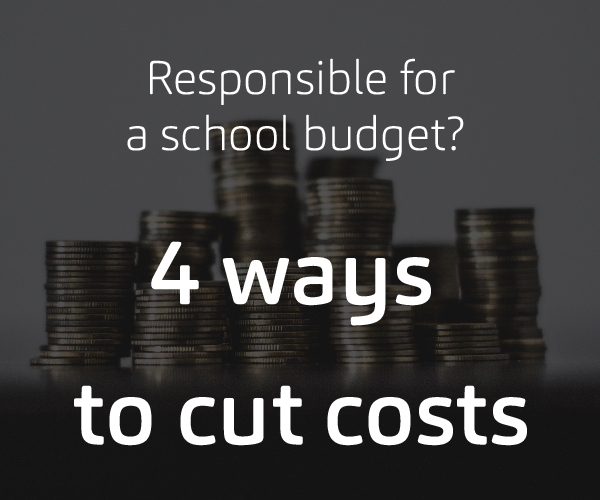 To find out more ways you can cut costs in your school without compromising on quality, keep reading here. For students, learning is different for each individual as we all have unique learning styles. It is important to understand which learning style(s) works for them in order to boost their ability to comprehend. What are learning styles anyway? As the title implies, it is simply put as the style with which a person learns. Styles here means the method through which something is comprehended. For instance, when learning to sew a dress, a student may very easily get through the process by listening to instructions and another would prefer pictorials, showing step-by-step images. What other learning styles are there? 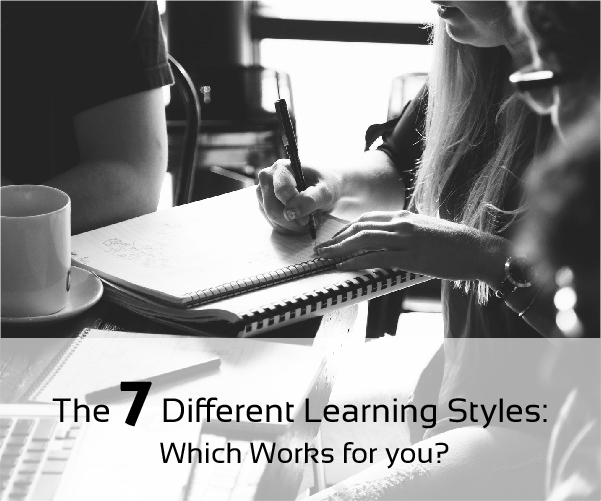 There are 7 different learning styles. If you can identify which group(s) you belong to, then you can leverage that to learn and assimilate efficiently. Visual: Visual learners grasp concepts best with the use of images, diagrams, illustrations, maps, and videos. Representing information in this form allows students make use of their visual memory. Oral: if you find yourself focusing and understanding more when listening to songs and podcasts, or when someone is speaking to you loud, rather than reading the text, then you may be in the oral or auditory learning group. 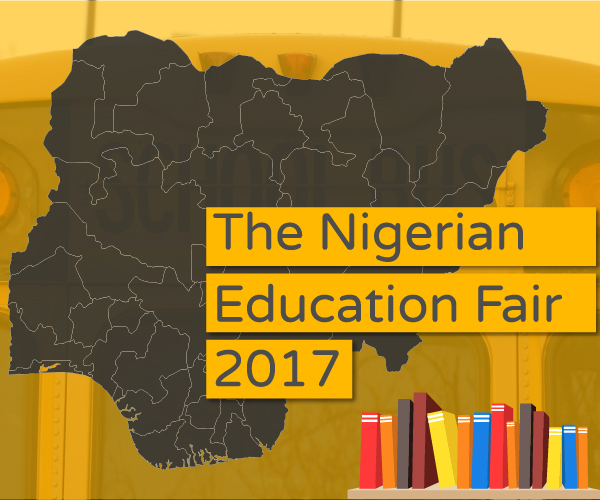 The Nigerian Education Fair 2017 was a huge success. We had an exciting time meeting with different school representatives and owners. The turnout was impressive for all five days; May 12th -13th and May 18th – 20th. 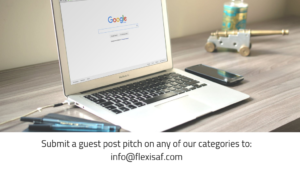 Flexisaf was present all through!, Distinction.ng, our e-testing CBT platform for JAMB, NECO and WAEC practice was introduced to secondary school students present as well as our other products like SRMS, SAFPAY and skools.ng. 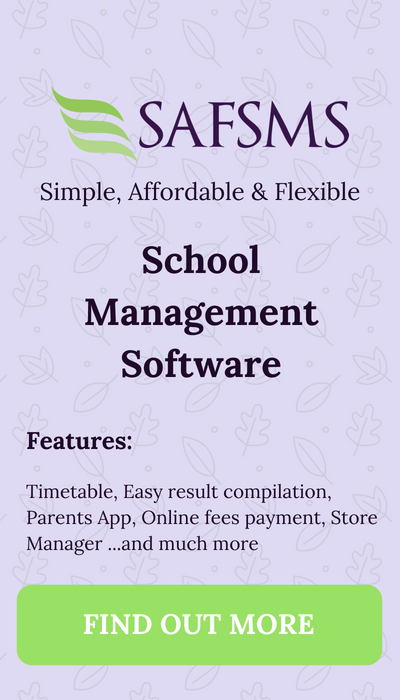 I have being using Flexisaf school management software for the pass three to four years now, the program is extremely wonderful, it has actually made result documentation and processing very simple.